Set along the Platinum West Coast is the award winning Waves Hotel and Spa. This oceanfront hotel offers guests a truly unforgettable experience focusing on mind and wellness to allow guests to fully unwind and reconnect assisted with the excellent activities and culinary experiences available. 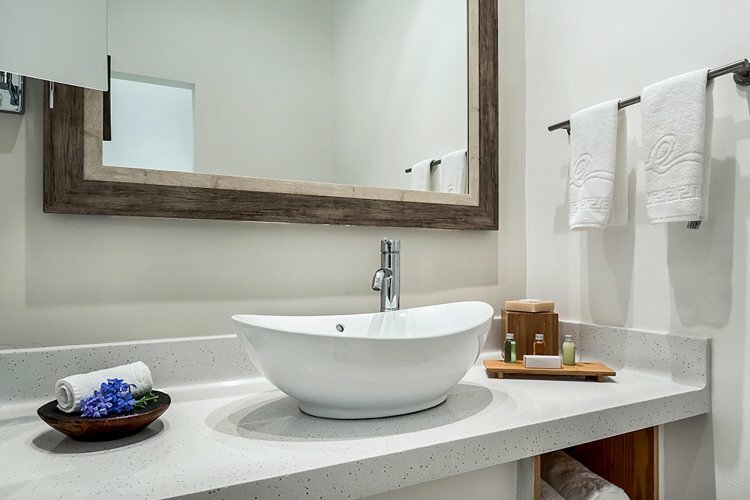 All rooms have been recently refurbished and are decorated in a range of neutral tones following the eco-chic design and most rooms have spectacular ocean views and a private balcony or patio. All adults can enjoy up to 4 complimentary spa treatments if staying over 7 nights at The Spa at Waves. Offering a range of treatments, from body massages and scrubs to facials and wraps, guests can also take advantage of the sauna, steam room and outdoor whirlpool for full invigoration and relaxation. The Waves two resident restaurants offer Mediterranean and Asian-inspired dishes both with Bajan influences. Seascapes, open throughout the day, serve buffet and a la carte menus and host a variety of international theme nights. Guests can experience a fusion of Asian and Bajan cooking at Shisho. Dishes such as sashimi, hoisin beef and even deep fried ice-cream will satisfy even the most adventurous guests. For those wanting more choice the Taste of Elegance dine-around option gives guests the choice of eating at over 15 restaurants based in participating Elegant Hotel properties. Beautiful small friendly hotel where staff are amazing and can’t do enough for you, so good we went back this year and it was like returning home.